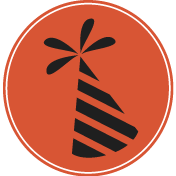 The Vancouver Neighbourhood Food Networks (VNFN) are a network of community organizations committed to promoting food security in neighbourhoods across the City of Vancouver. VNFN is committed to food equity and access, education, skill building, and advocacy, particularly for community members who are struggling economically. This work is based on the principle that all members of society have the right to quality food. VNFN provides a space for networks to collaborate, share best practices and advocate for food equity & justice, ecologically & culturally sustainable food systems, and community food resilience with a unified voice. 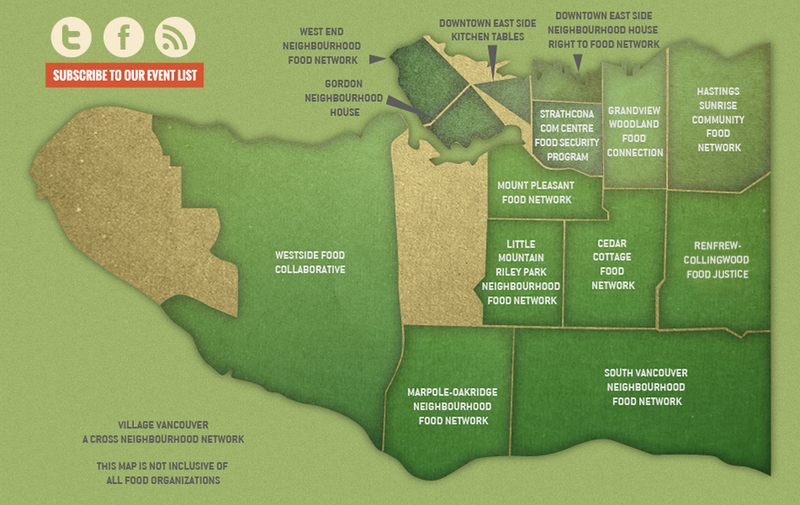 Visit the map to learn about a Neighbourhood Food Network in your community! Neighbourhood Food Networks break down barriers that prevent people from accessing nutrient-rich, affordable, and personally acceptable food. We increase access to food includes by offering drop-in meal programs, bulk buying clubs, mobile produce markets, emergency food access, community gardens, school gardens, and more. 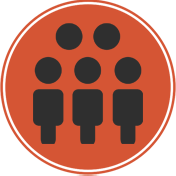 Neighbourhood Food Networks share knowledge and resources at every level of the food system through community-based education, advocacy, and research. We build food literacy by hosting workshops, community kitchens, lectures, films, and discussions. Neighbourhood Food Networks’ celebrations and gatherings involve food to meet physical, spiritual, social and emotional needs. Our community events increase awareness around food security and reduce social isolation by helping neighbours meet neighbours. Neighbourhood Food Networks amplify and empower the voices of underrepresented communities in the local food system. We are working towards decolonizing food practices on Unceded Coast Salish Territories. Updates from VNFN including news and events. For the latest updates from your neighbourhood, please explore the map and visit their website directly. Strathcona Community Centre is seeking a Breakfast and Nutrition Assistant and Kitchen Cleaner to join their food programs team. See details at the postings below. To make a donation, contact us via email. Donations $15 and over will be issued a tax receipt. If you'd like to set up a monthly donation, please contact us. Thank you for your support. If you are interested in sponsoring our work or our events with cash, products, services or media exposure, please contact us. We'd love to hear from you. If you're interested in volunteering with us, please inquire about opportunties with your local Neighbourhood Food Network. We'd love to connect you to the work happening in your community. For any other inquiries, please contact us below.